Hartog Philip Frank was born in Meppel in 1892, son of Philip Hartog Frank and Froukje Israels. 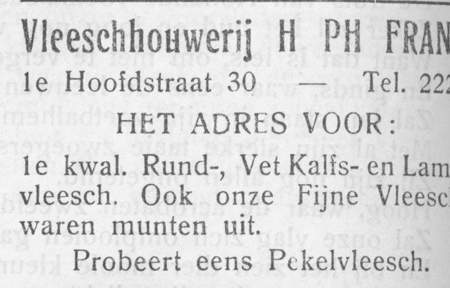 In 1904 he married Volgeltje van der Woude in Leeuwarden (also her place of birth) They had three children: Philip Hartog (born 1905), Nathan Hartog (1906) and Jacob Hartog (1911). Hartog Philip Frank was a Jewish butcher, who had a remarkably great number of clients. In religion he was not so particular, but he could not do as he pleased or his license for selling kosher meat would be withdrawn. The rules and regulations for slaughtering and selling kosher meat also meant certain religious obligations, such as celebrating the Sabbath and going to the Synagogue (‘sjoel’). The licensee was compelled to stick to the matrimonial- and food laws. On Saturday evenings he would put on the light in his shop long before the end of the Sabbath,however. Jewish people who passed by, would say mockingly: ‘It is already Katsovem-Night’ (the end of the Sabbath is called night and the name for butcher is ‘Katsov’, ‘Katsovem’ in the plural). Because of his license Hartog had to attend the main service on the Sabbath, the morning service. It was forbidden to eat before the service, but most people had a little something. After the service was the real Sabbath morning meal; in those days in Meppel, it was bread and fried Zuiderzee flounder. When Hartog was asked ‘why do you still go to the morning Sjoel service?’ he would answer, ‘The fish tastes better after I’ve been to the Sjoel.’ A humorous remark with perhaps a little truth in it. It’s probable that Hartog had some religious feelings, but did not want to admit it. Hartog was social-minded man. If he knew that one of his poor clients could not afford to pay for his meat, he would send a portion of meat to them on Friday night. He was also known for the quick execution of his orders, which gave him a good name with the restaurants. None of his three sons was interested in the butchery. 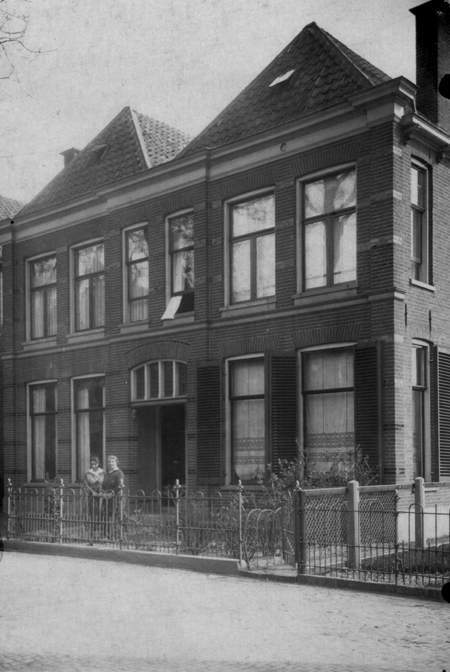 In 1938 father decided to close the butchery and together with his wife Vogeltje they moved from the Hoofdstraat to a quiet house at 36 Steenwijkerstraatweg. the Noorderschool at Noordeinde in Meppel. 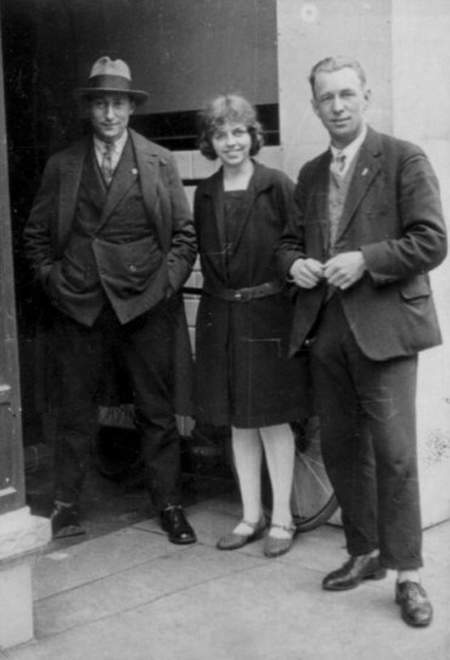 Jacob Frank (left) with two acquaintances in the Hoofdstraat. Jacob left in 1936 to work at Heerde; Nathan was at first a commercial traveller/branch manager of Bata (shoes), later he started a wholesale business in leather and rubber. Philip was a dancing teacher and also helped his brother in the business; besides teaching dancing he was also a dealer in car tyres. 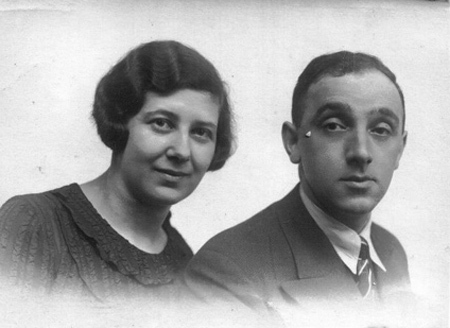 Philip married Sara Wolf; they lived at 57 Zuideinde. Nathan stayed at home, also after he had married Sara Pagrach in 1942. She was the daughter of Lion Pagrach and Eva Pagrach-Speijer and was born at Holten in 1917. 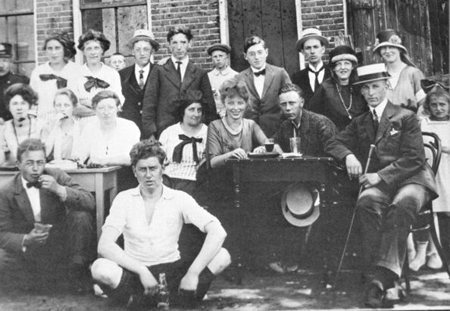 Photograph of members of the Meppel Korfball Club (MKC) in 1922. MKC. Sitting between the two tables (with bow tie) Riene van de Rhoer. Philip Hartog Frank married Sara Wolf, daughter of the Meppel couple Isac Wolf and Hendrina van de Rhoer. Isac Wolf and Hendrina van de Rhoer had three daughters: Sara, Matje (later married to Abraham Benedictus Leefsma) and Jeanette. Bram Leefsma and Matje Wolf. We had lessons from him in a group of 30 young people, every Saturday for 2 hours, 20 weeks long. We paid 50 cents per week, 40cents for the teacher and 10 cents were reserved for the final ball. We learned foxtrot, English waltz, tango, waltz and sometimes we learned dances which were popular at the time such as the ‘Lambeth Walk’ and the ‘Palace Stroff’. We became very proficient dancers. Philip Frank spent most of his time teaching us a good dancing style, good manners and how to dress. Certainly one could not come to the dance floor wearing jumpers and casual trousers.Young men had to wear blazer, shirt and tie; girls should wear a dress or skirt and a blouse.For the final ball girls would make their ball dresses with the help of their mothers or aunties. You were not allowed to shout at a young lady from a distance: ‘Hey, do you want to dance with me’? No, you had to stand,- blazer buttoned up,- in front of the young lady, slightly bend forward and ask her for a dance; at the end of the dance, escorting her back to her seat and thanking her. While dancing you put your right hand on the shoulder of the young lady and she did the same with her left hand, the other hands elegantly slanting slightly upwards, touching each other. Holding each other in a firm grip around the middle or around each other’s neck was completely wrong. It was forbidden to have a cigarette or a glass in your hand while on the dance floor. The most popular dance was the foxtrot-varié and the dance in which at the signal of a whistle of the ball leader you should change partners. 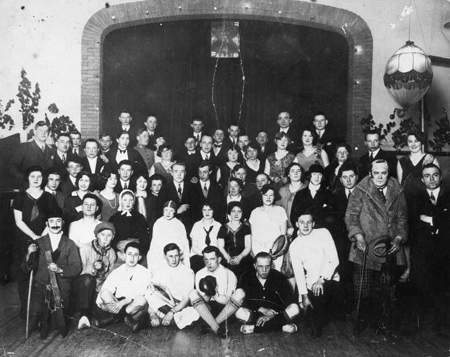 The dancing lessons and the various balls were held in ‘dance hall’ Slot on Zuideinde. When the Germans invaded our country, it was no longer allowed to dance (out of solidarity with the soldiers at the front). We organised secret dances in the evenings at Philip Frank’s house on Zuideinde, or at Weber’s lunchroom. with Moos Levie, Sam and Sara Stern, Nathan, Jacob and Philip Frank. For the Frank family the Second World War was a disaster. Philip and Nathan who were still in Meppel had to leave for camp Linde on 17 August. A day later they were transported to Westerbork. They spent almost one year together with other family members in that camp. A small miracle, because the Jews who were taken to camp Linde, were already killed around the end of September 1942. Jacob went into hiding on a small farm in Emst and for almost three years he slept in the haystack. During that time he got engaged to a girl with the same surname: Beppie Frank. His did not think of marrying, contrary to his brothers. He said to her: ‘let’s wait a while and see what happen.’ Beppie Frank did not survive the War, unlike Jacob. 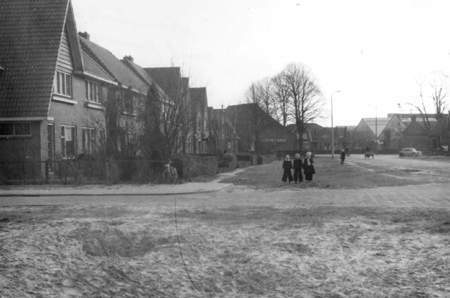 Three weeks after the war, when he returned to his parents’ house on Steenwijkerstraatweg in Meppel, a strange woman opened the door. ‘That was hard, very hard. That someone else was living in our house!’ Most probably because of that Meppel had become passé for Jacob. After the War he lived for five years in Amsterdam in a pension. He married a clothing designer, sister to Max and Jaap van Praag. Later they moved to Calgary in Canada, where he started a butcher’s shop. His Father had a successor after all. 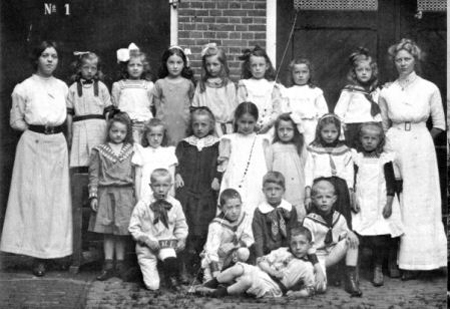 Hartog, Vogeltje, Sara, and Sara’s little girl Vera were taken from their homes in the night of 2nd and 3rd October. A few days before, Sara and her little Vera had been evicted from their home on Zuideinde, because the German armed forces had claimed their house. They moved in with their parents and sister- in- law on Steenwijkerstraatweg. After the Meppel Jews were gathered in the square in front of the station, and were taken to the platform, it became too much for Sara. There she was, walking with her 10-month-old baby (her husband Philip had been transported to camp Linde), all on her own. Unexpectedly she lifted her baby high into the air and shouted to the silent crowd: ‘take my baby, save her.’ No one spoke a word; no one reached out a hand. Then it was too late; the Jews stepped into the train and the train started to move. By this, I take the liberty to ask you, or Mr Lintholt, 38 Steenwijkerstraatweg , if you could take care of collecting the following from my house: 2 blankets, 2 woollen scarves, military trousers, 1 pair of men’s shoes, 1 pair of ladies’ shoes. These are for my parents, who have very few clothes with them and cannot get anything here. They could not bring enough with them for when they go on transport. When my parents arrived here, the Jewish Committee was supposed to sort this out. My father had to send a telegram, but until now nothing has been received. I hope that you can fulfil my request, for which I thank you. Breedveld did not show any social-mindedness, as he informed Nathan that such a request could not be fulfilled. A few days after Nathan’s letter, on the 2nd of November, Hartog and Vogeltje were put on transport towards Auschwitz; on the 5th of November they were both killed. They must have suffered from the cold on that train, together with 954 people travelling to the East. The rest of the family remained in Westerbork for a while, regularly succeeding in avoiding being put on the transport list. Nathan was there member of the Order Service. However, Nathan was the first one to go; on the 20th of July (exactly 1 year after he left Meppel and arrived in Westerbork) he was put on transport to Sobibor. There he died on the 23rd of August 1943. Sara, Vera (Vera in her mother’s arms) and Philip followed a month later. On the 31st of August they were put into the train, towards Auschwitz. They died in the gas chambers on the 3rd of September 1943. Mother and daughter together, father alone.